After a long, cold winter and a Christmas spent in the Canadian Rockies my nails and cuticles were looking really dry and brittle and in need of some serious TLC. In the past I've always left it up to a hand cream to take care of them but I am really rubbish at remembering to reapply hand cream and this seemed like a good opportunity to put a targeted nail and cuticle oil to the test. 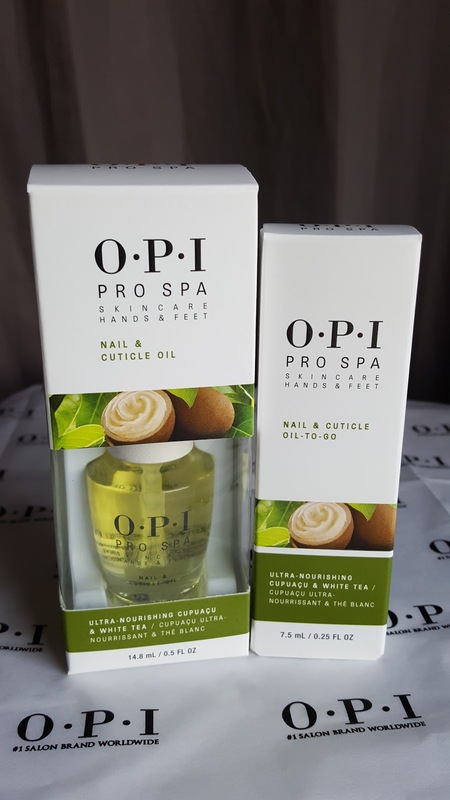 I have been using the OPI Pro Spa Nail and Cuticle Oil for the last couple of months. It's available in both a 15ml bottle and a 7.5ml tube. The design of the bottle is the same as an OPI nail polish and you simple use the brush to swipe a little oil around each cuticle. I keep it on my bedside table to remind me to use it every day before I leave for work and just before I go to sleep. The oil in the "to-go" tube seems to be a little thicker and you need to squeeze it to get it to come out on the little brush on the end. It lives in my makeup bag and is perfect for travel or if you need a top-up during the day. 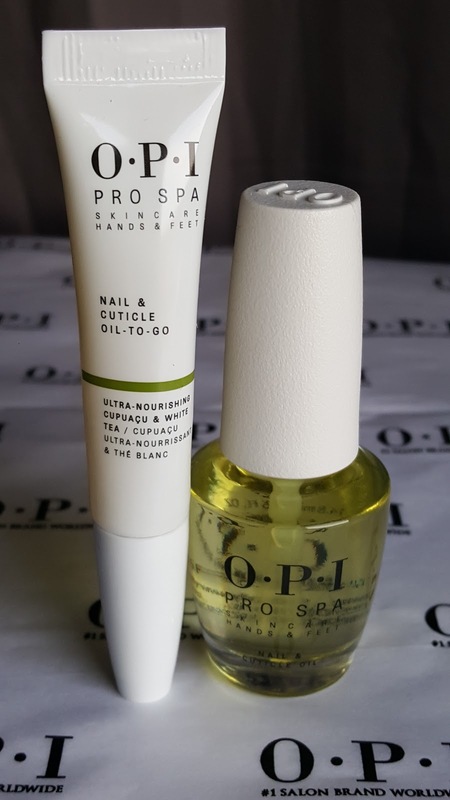 When you first apply the OPI Pro Spa Nail and Cuticle Oil it has an immediate moisturising effect making the nails and cuticles look much more healthy and nourished. However, at first, I was finding that as soon as I washed my hands everything would go straight back to looking all dry and tatty again. 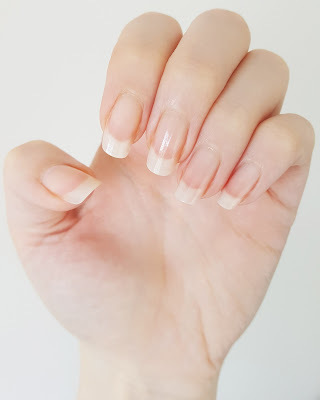 It was only fair to try it out for a good few weeks before writing my review to see if over time it would have more permanent benefits and I'm very happy to report that my nails and cuticles are in much better condition now. 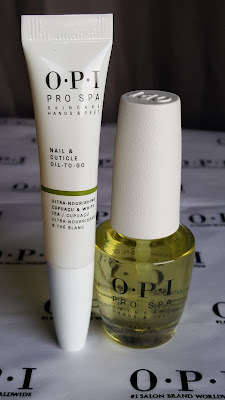 One of the main benefits that I've found with the OPI Pro Spa Nail and Cuticle Oil is that I'm no longer having to constantly push back my cuticles where they have stayed stuck to the nail plate as my nails have grown. I also get those annoying (and painful!) hangnails a lot less now. I've found it much easier to stick to a routine of applying it regularly compared to a hand cream as it doesn't leave my entire hands feeling all greasy. I've also been getting back into wearing colour on my nails recently and a quick swipe of oil really makes a manicure pop. At the time of writing the OPI Pro Spa Nail and Cuticle Oil 15ml is £17 HERE and the OPI Pro Spa Nail and Cuticle Oil-To-Go 7.5ml is £10.70 HERE.